“Duchess” – the name alone sings of a regal pedigree, echoing the Crown Jewels and other heirlooms of the monarchy. 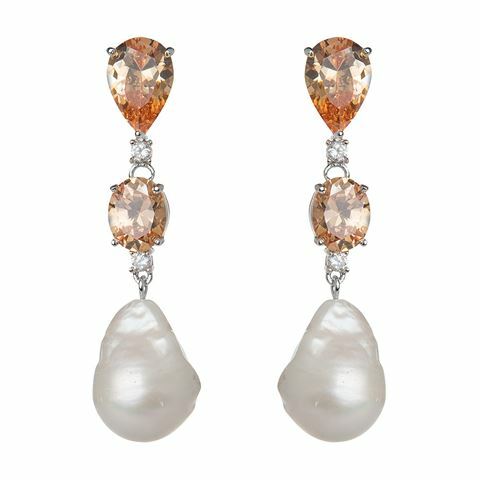 That said, these Duchess Drop Earrings are bound to become heirlooms within your family; their timeless style is achieved with enchanting beige stones, accompanied by the misty sheen of genuine rebel pearls. Made with beige stone and two rebel pearls. Eighteen karat white gold plated. Beautifully presented in a grey Bowerhaus gift box. 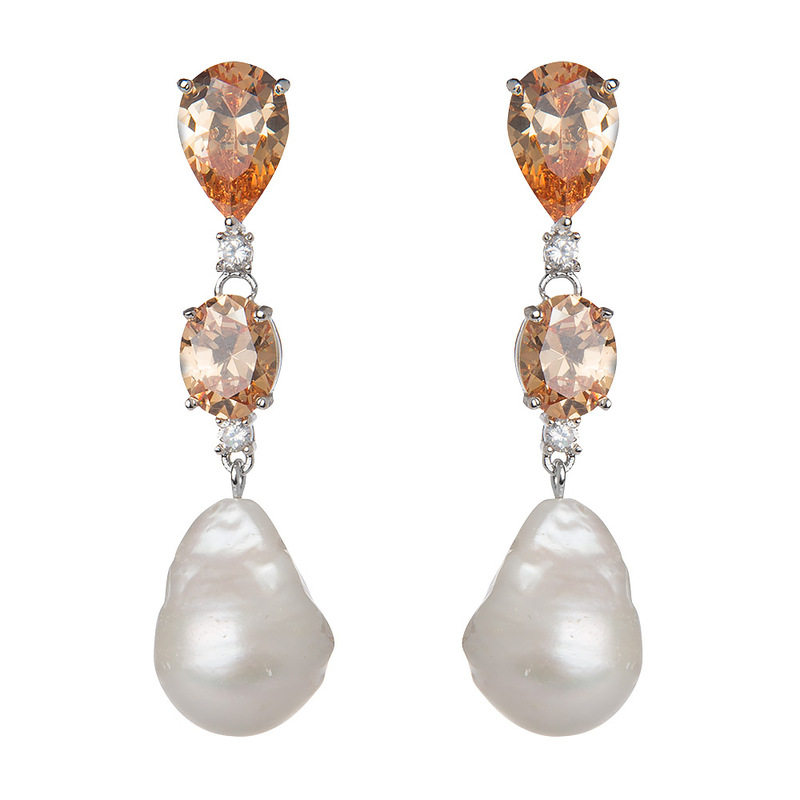 Please note: due to the individual nature of pearls, your earrings may appear slightly different to those pictured above. Earring Dimensions: 1.5cm (w) x 5cm (l).